Time Under Tension (T.U.T) is the amount of time a muscle is held under tension. It is a set timing technique used to calculate the amount of work placed on a particular muscle. The main purpose is to increase muscle mass as well as strength and endurance. This concept, first introduced in the late 90’s by well-known strength coach Charles Poliquin, suggests using a clock or stopwatch to time the lifting phase, pause and lowering phase of each exercise. The sum of these times multiplied by the number of repetitions completed in each set determines how much work is actually being done by the muscles. Rather than trying to push out reps in a short amount of time to get through a set, T.U.T slows things down to maximize potential. Squeezing out reps in record time may make you feel more powerful when it fact it makes training less effective. Time Under Tension makes the muscles work harder since each lift is done more slowly. Slowing each lift encourages proper technique by creating better awareness during training and increases the amount of tension placed on a muscle. Since this technique can do so much for your physique it is time to welcome Time Under Tension as a permanent fixture in your workout routine. There is no excuse not to take advantage of such a simple and effective way to train. Time Under Tension works by challenging concentric (muscle shortens as it contracts) and eccentric (muscle elongates as fibers lengthen) motions during a lift while minimizing momentum. As we all know, when a lift is done quickly, the muscle is not doing all the work. The speed at which you lift assists in the completion of the lift. When the movement is slowed, a more intense muscle contraction takes place as the need for tension development is maintained. Combined with the amount of weight lifted, this technique has been shown to result in faster gains, greater strength and improved endurance. This is mostly because Time Under Tension causes more microscopic tears in the muscle, which will heal during the recovery phase and make muscles bigger, stronger and more resilient. Better yet, T.U.T forces the body to constantly use fuel and activate new muscle fibers since more are being fatigued. This technique also increases blood flow to the muscles which gives you that pumped feeling post workout. As previously said, Time Under Tension works by timing the lifting, rest and lowering phase of an exercise. Depending on the exercise, lifting and lowering may be switched, but the approach is the same. To use this technique, get ready train as you normally would. Just make sure that a clock is within eyesight or have a stopwatch or your phone on hand. Next, consider your goal for each workout, whether it is building mass, increasing strength or improving endurance. Goal consideration is necessary since total set time varies. Sets that are 20 seconds or less are recommended for strength; 30-60 seconds will build mass; and 60-70 seconds will help build muscle endurance. Once you know your goal, it’s time to begin. Below are a few detailed examples of how to properly implement T.U.T to your workout. 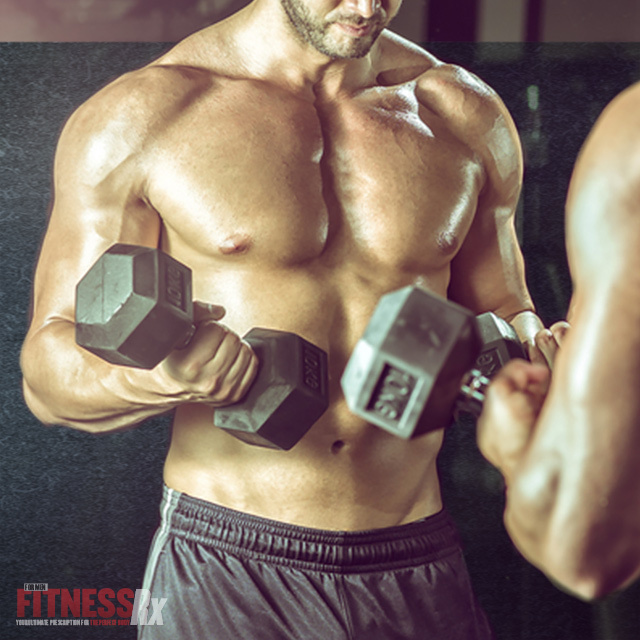 A great tempo for building muscle mass is 3-1-2. For barbell squats (or any other exercise) this means extending the lowering phase to three seconds and holding for a second before lifting over a time period of 2 seconds. The number of repetitions is flexible as long as the Time Under Tension is between 30 and 60 seconds. To take advantage of everything Time Under Tension has to offer, remember to watch the clock. For this technique, timing is everything. Of course it is helpful if you train with a partner but if not use the clock, a stopwatch or do the counting yourself. Much like any training technique, variation is crucial. Modify your routine every 1-2 weeks by making changes to your tempo as well as the number of repetitions while remaining within the recommended range for your goal. Doing so helps avoid plateaus. Overall, Time Under Tension is a super =-effective technique that will help maximize your gains, make you stronger than ever and help build the endurance needed to get through the most challenging training sessions. Just make sure to put 100% into every rep, watch your technique, and of course, watch the clock.